That's exactly it. 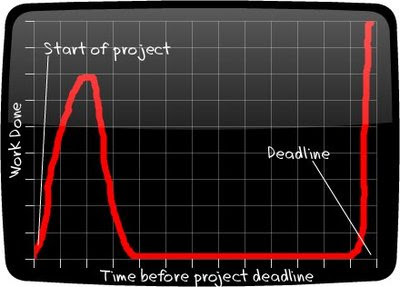 That's exactly how I've been approaching my final year project these last couple of months. We're squeezing every bit of work to be done at the very last minute. Deadline's on the 22nd by the way. But no matter what happens in the end, I'll be returning to the usual blogging routine next month for sure.